Last year was hugely significant for our service, we turned 75! Bulimba Child Care and Kindergarten was started by Thelma McConnel and began in 1942 on the site it still occupies today. The drive for creating the service was predominately to help support families affected by the war, especially the women who were either working whilst the men were away or helping with the war effort themselves. At Thelma’s request to secure a permanent site for her growing centre, our neighbour, the Bulimba State School granted her a piece of land to use. The original building was an old army hut from the Cairns Cross dock. It was nicknamed the “Wee Wing” and after the efforts of some of the Dad’s during working bees, it was put up on stumps and the building became two storeys with the babies upstairs and the Kindergarten children downstairs. Children were often collected by staff in prams on their way to work in the morning whist other children arrived by buses from neighbouring suburbs. Fast forward a few years and in 1990, the Bulimba Child Care moved into its current building located on the original site and was renamed Tugulawa Early Education in 2015, forever marking the Indigenous connection to the land we play and learn on every day. We celebrated our 75th birthday in style, closing off the street for a day of live music, delicious food, a teahouse complete with homemade scones and a dash of history and lots of time to play. Our rich history is littered with powerful, caring, passionate women and our staff team are no different. We celebrated the team as much as the children, their families and our community on that day with more than 30 past and present staff spanning more than 40 years of the centres life attending. One of these special educators started at the centre in 1976, working through until the mid-1990’s. It was a joy to show her through the centre as it is now and to recognise her contributions. Year after year our annual parent survey finds that our wonderful staff are the key reason why families choose our service. We try very hard to make sure our team feel valued and respected in their chosen profession every day and use occasions like Educators Day to go the extra mile. Early Childhood Educators Day has been building momentum with every passing year and our whole parent community get behind it by adding a little something to mark the occasion. The heart is integral to Tugulawa, in the meaning of the name (the heart shaped bend in the river where Bulimba is located), in our logo, in our philosophy and vision, and in our daily Acknowledgement of Country. 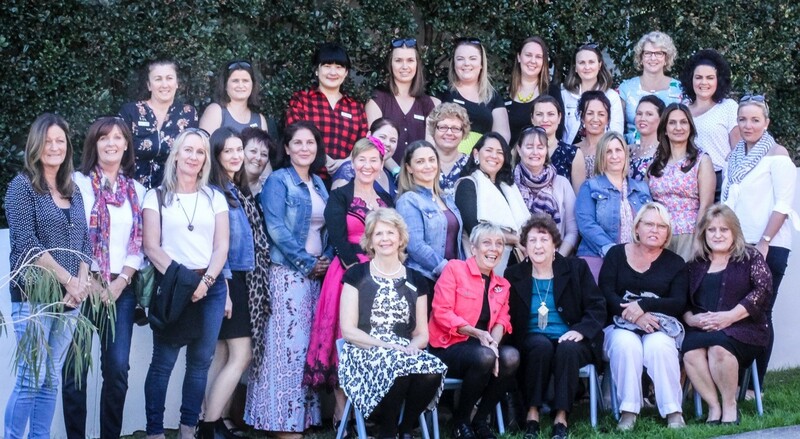 Last year on Early Childhood Educators Day and to mark our milestone 75th birthday, our whole team were presented with a Pandora heart shaped bead, a gift from the Tugulawa Management Committee. We made this gift as personalised as possible with each team member receiving one with their individual birth stone embedded in it. A lovely gift of meaning to cherish, this and every Early Childhood Educators Day.